Should You Get a Credit Card with Bad Credit? Many people with bad credit often ask themselves if they should get a credit card with bad credit. The answer to this question is not one size fits all because everyone’s situation is different. 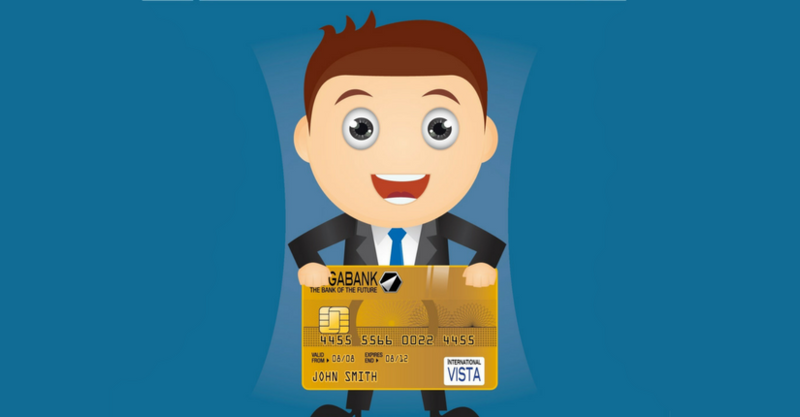 However, there are some key principles that can be helpful in determining whether or not you should apply for a new credit card, even with poor credit. So in this article, we’ve given you some guidelines. We will tell you three reasons why you may want to get a credit card, three questions to ask yourself before applying, and finally how to find the best credit card for you.
? 1. A credit card can help to increase your credit score. If you commit to paying off your credit card every month, you should see a credit score increase in time. Remember, your credit score is impacted by several factors, including payment history, credit utilization, and length of credit use. The more you responsibly use credit, the higher your score! Check out this article from Debt.com to learn more about how you can increase your credit score.
? 2. A credit card can give you rewards and cash back. We routinely collect $50 – $100 worth of credit card rewards each and every month! Credit cards, when used responsibly, can increase your net worth rather than decrease it.
? 3. A credit card can be used in cases of extreme emergency. If you’ve read our 25-Step Financial To-Do List, you know that we believe one of the first financial steps you should take is to build an emergency fund that you can tap into when emergencies happen. However, if you have not yet had the time or the opportunity to build your emergency fund, and you desperately need some method of payment, a credit card can fill the gap. However, this step of using a credit card to cover emergencies should only be extremely temporary and your last resort. If you don’t have an emergency fund yet, click here to check out our list of over 100 ways to make extra money, and you should have an emergency fund stashed away in no time.
? 1. Why do I want a credit card? It’s so easy to open credit cards today. Click a button…beep boop beep…congratulations, you should receive your new card in the mail within 2-3 business days! But just because something is easy doesn’t mean you should do it. Walking off a cliff is easy. Just put one foot in front of the other until you fall off. But just because it’s easy doesn’t mean you should do it. So why do you want a credit card? Is it just because everybody else has one? Is it because you want ? Or is it because you truly believe that you can use your credit card to better your financial life and habits?
? 2. Can I control my spending? You get your new card in the mail. How are you going to use it? Are you going to go on a spending spree the minute you open the envelope? Or are you going to use it for small purchases here and there while you rebuild your credit? If you haven’t guessed, our recommendation is the latter. By only using your credit cards to make small purchases, you can be sure to be able to pay off your balance every month, and you will still be showing that you can use credit responsibly.
? 3. Can I pay off the balance every month? If you’re going to get a new credit card, it’s essential that you pay off your balance every month. Interest rates on credit card balances are ungodly, so you will pay through the nose on any unpaid balance you keep. Also, by paying off your balance every month, you will increase your credit score faster than you would by carrying a balance. So you’ve been real with yourself. You’ve given the six questions above your honest answers. If you have concluded that getting a credit card is the right move for you at this time, then click here to search top credit cards and find the perfect match for you, whatever your credit situation. I totally agree with you on all these 3 reasons to get a credit card. I have few of them as well – and the best part is with good credit, you can prove yourself with most of the situations. Great answers to those 3 questions. You can actually sign up for many credit cards just for the signup bonuses they offer. Just make sure, as you quite rightly said, you pay the monthly balance before the high, interest rates kick in. As always, your post was very educative and helpful. I am an enemy of credit cards! Although I agree that a credit card can help you with your credit record, I am a firm believer that if you can’t pay it cash, you can’t afford it. So no credit cards for me! Good post! Very good tips that’s all I keep mine for is emergency only! Good discussion that weighs the pros and cons. Thanks for sharing! I believe there are pros and cons in this situation. One must know to keep a balance before create a new debt. Perhaps a secured credit card would be a good alternative in this situation (of bad credit), both to increase the odds of approval and to improve one’s credit?